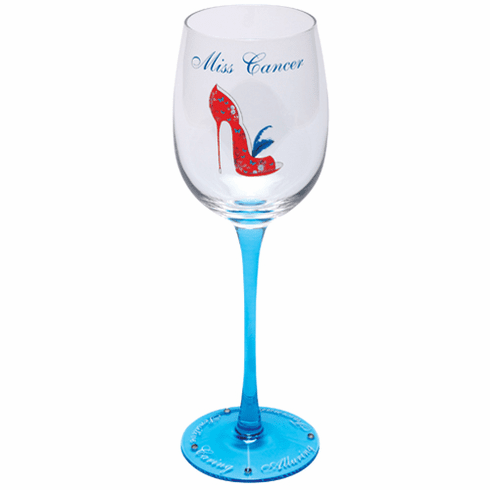 Miss Cancer Zodiac wine glasses featuring a fabulous and unique shoe by Christoper Vine Designs. Stylish, Sophisticated. And oh so much fun! A hip new take on the signs of the zodiac! Features rhinestone accents on the base along with a list of fabulous character traits!